The book that put me on the map! When most people think of Romania, they think of gymnastics, vampires, gypsies and orphans. I know because I knew little else when I first set foot here years ago. It’s not Romania’s fault that it is so poorly understood outside its borders. It is only just now that visitors are starting to appreciate this magnificent jewel right at western Europe’s doorstep. While other guidebooks on Romania are written by people who visit here once every few years, I live here and this is my home. I speak the language and understand the culture. It is my privilege and honor to now extend my knowledge unto you. 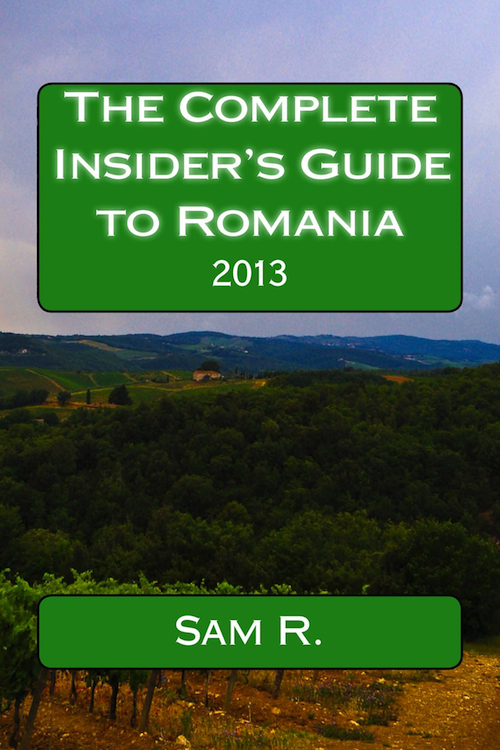 If you or anyone you know is going to Romania, even for a short time, this book will be worth its weight in gold to you as an expert guide on traveling, visiting and understanding Romania. Included inside are Romanian food recipes, detailed travel tips, exact guides on how to never get ripped off, what dangers to avoid, understanding Romanian cultural basics, how to talk to people and most importantly, how to have a wonderful time!